Tonisha M. Jarrett | Attorney Profile - Foley Peden & Wisco, P.A. Tonisha M. Jarrett is a 2003 graduate of Martinsville High School. She completed her undergraduate work at Indiana University-Bloomington (and will forever love Hoosier basketball!). During college, she became involved in the Morgan County Court Appointed Special Advocates (CASA) program and realized she had a passion for the realm of law. Her passion for law led Tonisha to the Robert H. McKinney-School of Law in downtown Indianapolis, where she received her Juris Doctorate in 2013. During her time in Indy, she received a Certificate in Criminal Law and spent time teaching law to students at Shortridge High School. Tonisha became a certified legal intern at the Marion County Public Defenders Agency and Neighborhood Christian Legal Clinic. She spent time working in the Wrongful Conviction Clinic, and also worked as a server at a local Indianapolis favorite restaurant, Harry and Izzy’s. 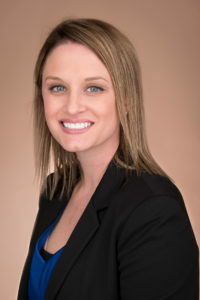 She came back to her hometown of Martinsville to open her own private practice and joined Foley Peden & Wisco in 2018. Tonisha spends the majority of her time working on divorces, child custody, adoptions, guardianships, criminal defense, paternity cases, and cases involving the Department of Child Services. She is married with two sons, one daughter, a dog, and a kitten. When she is not working, she enjoys spending her time with her family, working out, or sitting in the sun with a good book.